Viewing 0 current events matching “meetup:event=229596028” by Date. Viewing 1 past event matching “meetup:event=229596028” by Date. Hello all crowd funders! On the 4th Friday of every month, we'll have a workshop on how to use the tools of crowd funding to get your project ready to be funded. 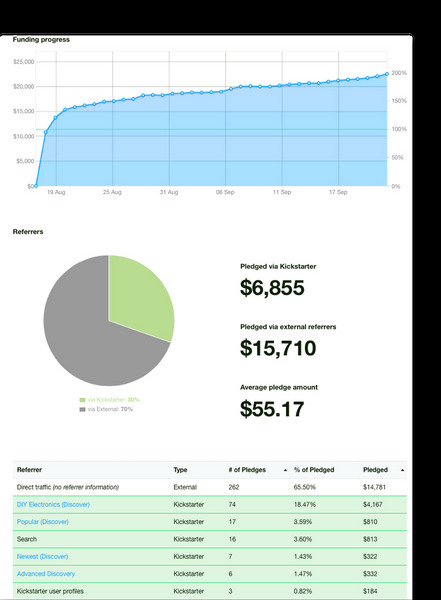 To see the behind-the-scenes of a project, I logged in to my successfully funded Solderdoodle campaign to show the funding progress, online traffic, backer correspondence, and how easy it is to get going with limited resources. Attendees are encouraged to share their projects, learn from each other, and gain insight in to the inner workings of a start up. If you'd like to be a guest speaker or suggest a topic, feel free to message me.